Obscuring his identity with motorized toys and raw meat, David Henry Brown “Nobody” Jr. seeks to liberate himself from the ways capitalism tends to dehumanize us. David Henry Brown “Nobody” Jr. has been playing with his identity since the 1990s. For example, in the 2000s, David (he prefers to go by his first name) pretended to be Alex Von Fürstenberg, the son of famed fashion designer Diane Von Fürstenberg. Donning a $20 vintage suit, he broke into high-profile parties, meeting celebrities such as the Clintons, and getting his photo taken with them. Around this time, he also posed as a white conservative man who attempted to meet Donald Trump as many times as possible — each time David succeeded he snapped a photo of the duo together, and had the images autographed by Trump himself. After this, David did a stint as an employee at the Madame Tussauds Wax Museum, hosting undercover events and pretending to “be a loser guy from New Jersey with a mustache.” Then, following the September 11 attacks, he took on the role of a strung out fashion designer who made shirts with a graphic of a plane crash on them — a nod to Andy Warhol’s Car Crash series. “I thought people would be scared of [the work] because of what had just happened but instead, I got hoarded with people asking me where they could buy one,” he recalled. In this way, each of David’s personas emphasized his desire to shock people into seeing their current reality in a new way. With the advent of the digital media in the mid-to-late 2000s, David found he could transform himself more readily. 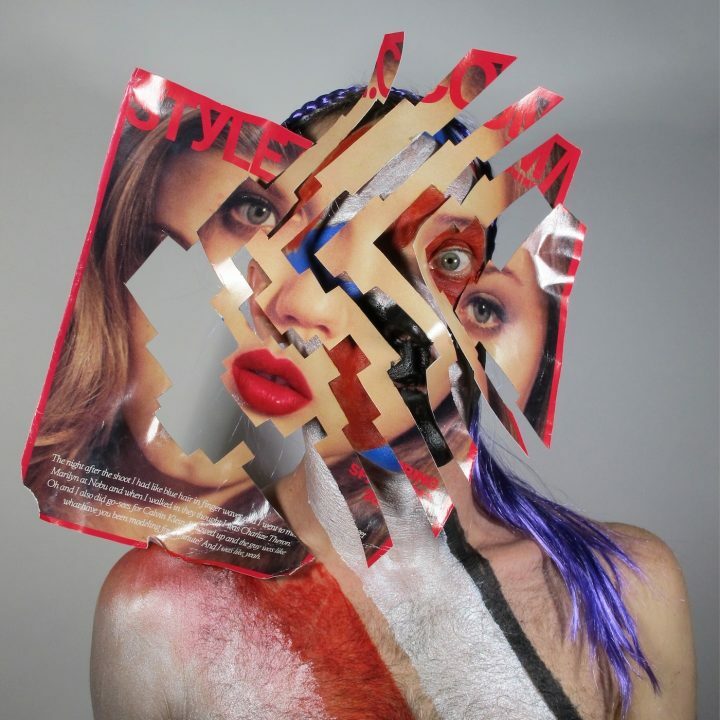 In 2014 he joined Instagram and began experimenting with face paint, marking the birth of the work he is still building today, which is currently on display in a solo show, Resemblagè, at Contra Galleries in Chelsea, New York. 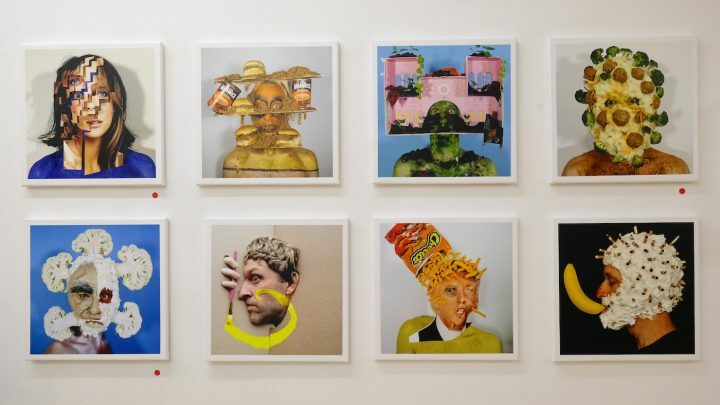 Titled Fake Smears and Facial Food Fiascos, the exhibit showcases 40 18 by 18-inch prints of David’s latest self-portraits, which were initially published on his Instagram account. 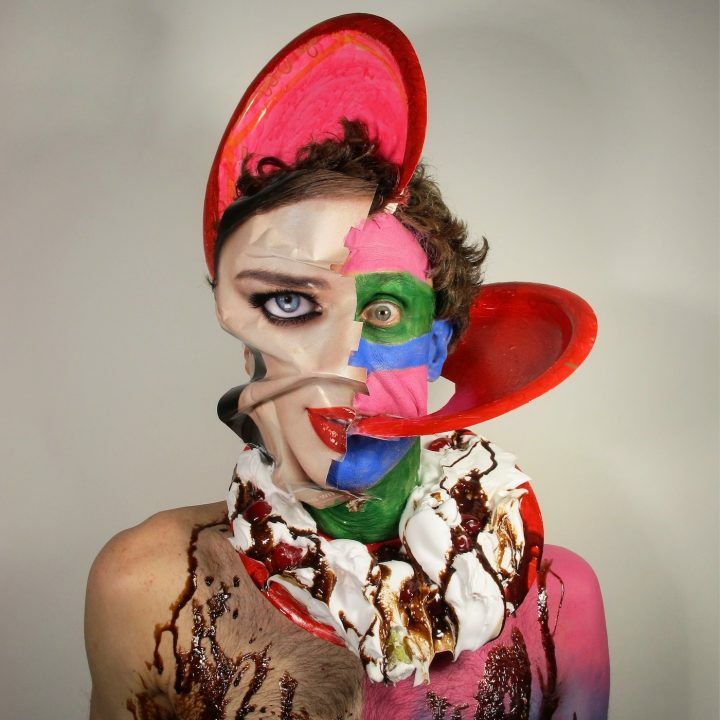 Serving as a stream of consciousness, his feed is a scrapbook of what he calls “resemblage,” in which he applies props such as motorized toys, body paint, and trash to his face in complex arrangements that border on humorous and disturbing. Obscuring his identity, each one represents an ecstatic creative moment in which the artist has liberated himself psychologically and intellectually from the ways capitalism tends to dehumanize us. He presents us with a subversive, primal being who does not care about being judged or seen as weird. Keeping the objects on his body until he can’t physically take the pain anymore, he sees his practice as a way of slowing down in a time when everything else is moving quickly — just like a cup of hot tea, he lets the miscellaneous objects seep into and seemingly melt on to his body, slowly and deliberately. 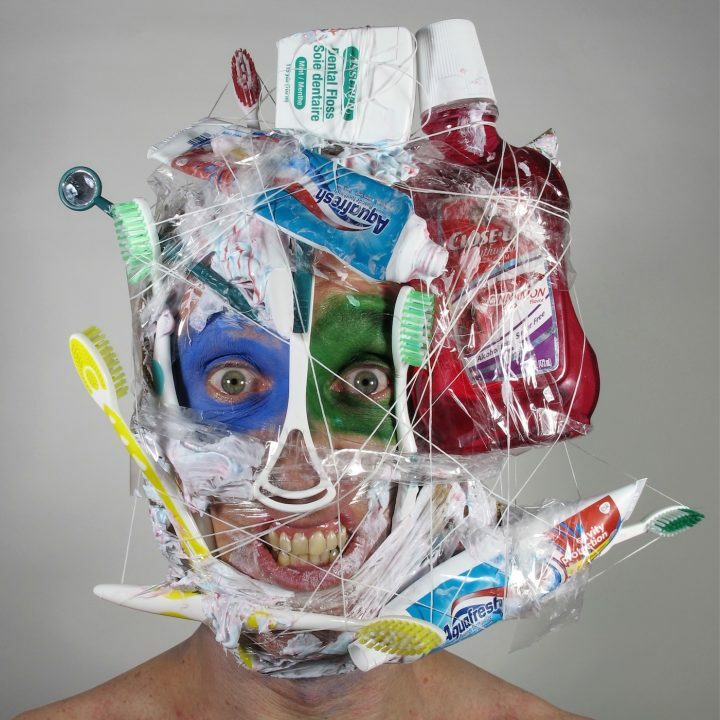 His work serves as a commentary on the power consumerism has over us, and the ways it is constantly reshaping our identities; David just makes that process more apparent. David Henry Brown Nobody Jr:Resemblagè continues at Contra Galleries (122 West 26th Street 5th Floor, Chelsea, Manhattan) through February 15. 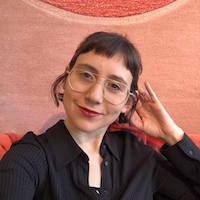 There will be an artist’s talk at the gallery on Sunday, February 10 at 6pm. Contra GalleriesDavid Henry Brown “Nobody” Jr.